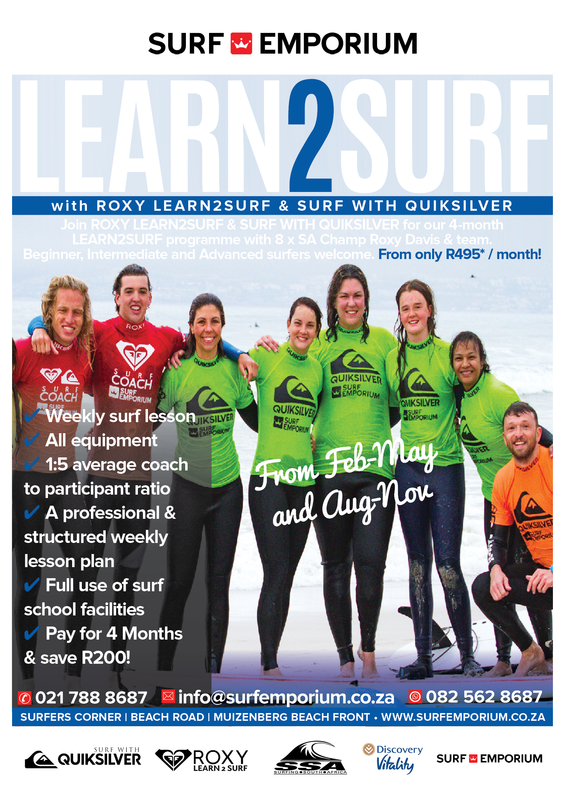 Designed by internationally qualified ISA surf coach and 9 x South African champion Roxy Davis, this ever successful programme offers structured weekly lessons helping you learn to surf or improve your current surfing level! 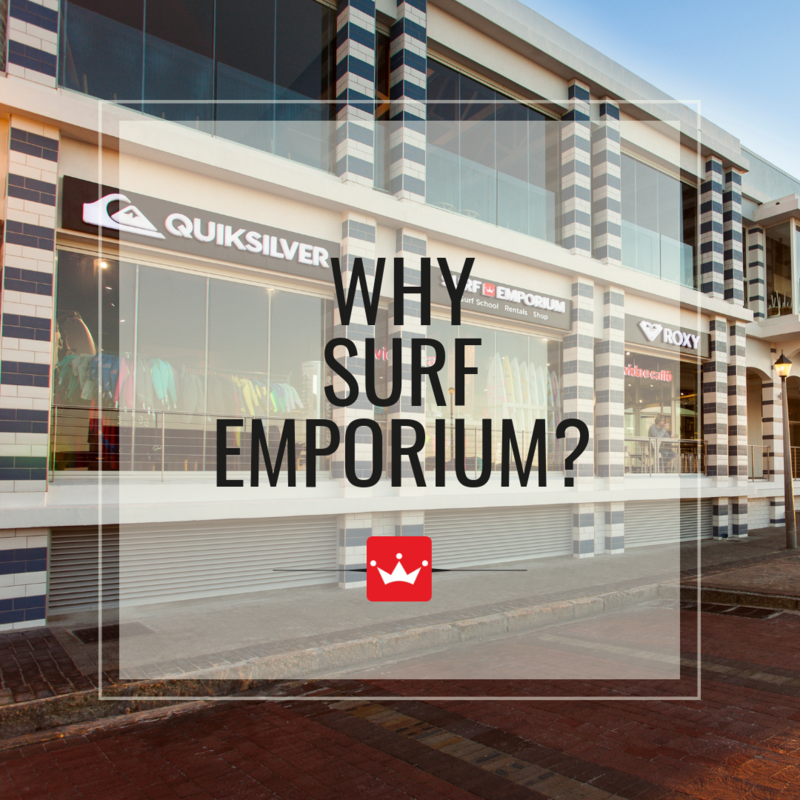 At only R495 per month it includes a once weekly group lesson, equipment hire as well as use of the facilities which include separate men's and ladies change rooms, lockers and hot showers. *Should we have a minimum of 5 interested participants, we will also introduce a 2pm group on a Saturday and/or Sunday. Get your friends together & take up this amazing offer with your own private group programme! Each programme will follow a structured, 16 lesson structure. View the programme structure here. 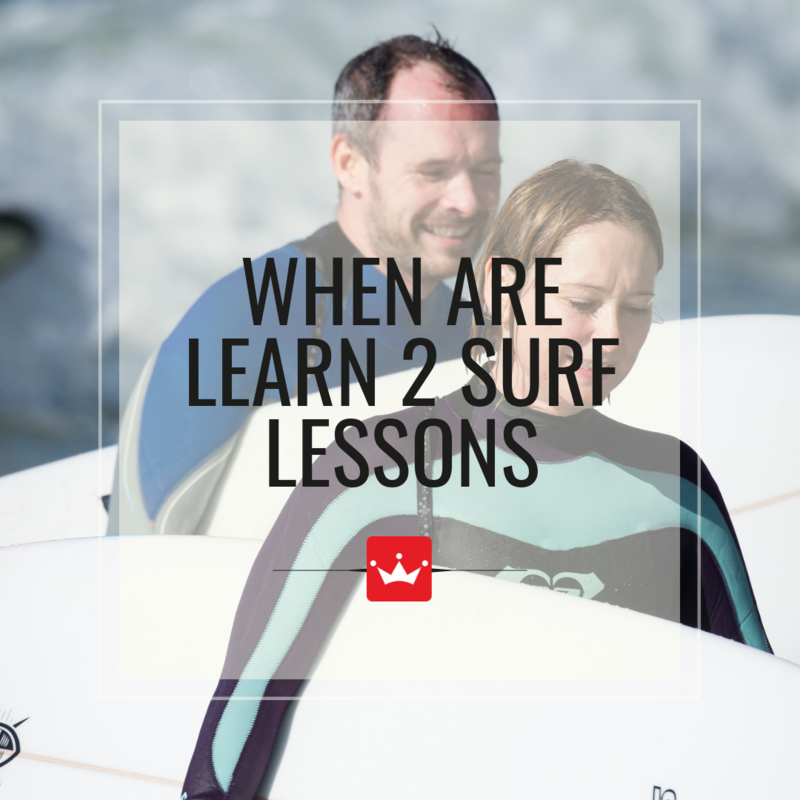 If you are a complete beginner, you will be learning how to ride your very first wave using a foam board or a minimal/long board. 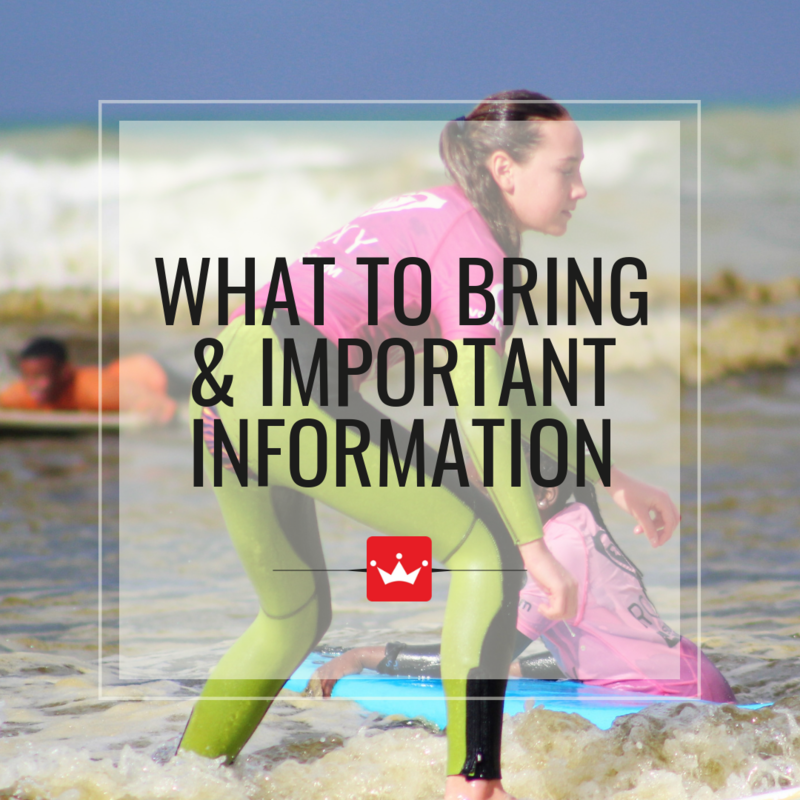 You will also learn how to wax & carry your equipment and perfect your pop-ups! 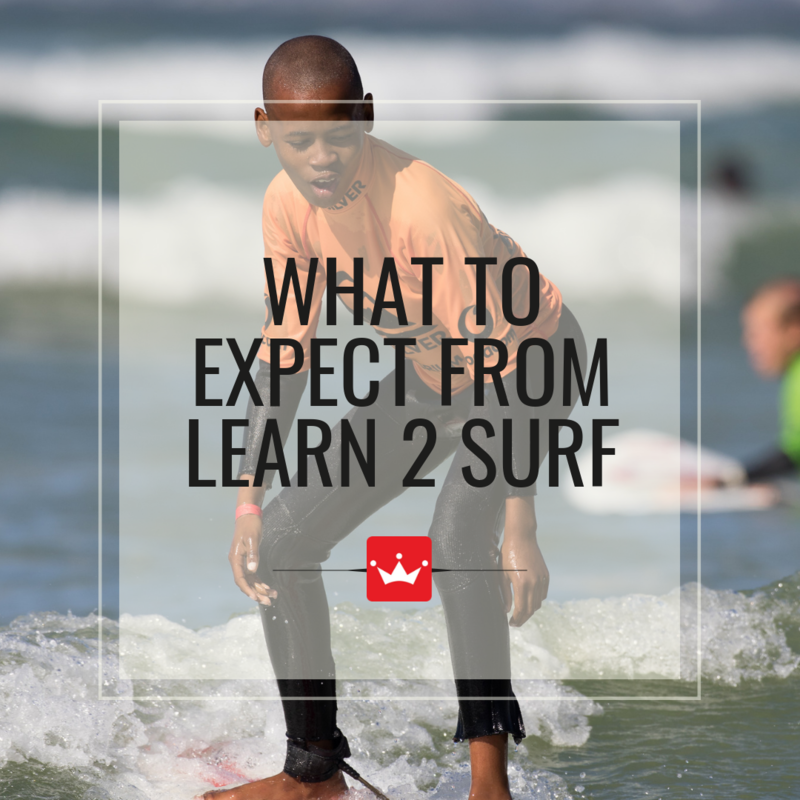 For our mid-break intermediates, our professionally qualified coaches will assist you in advancing from the foamies in the front to the mid-break where you'll learn how to change direction and kick out safely. 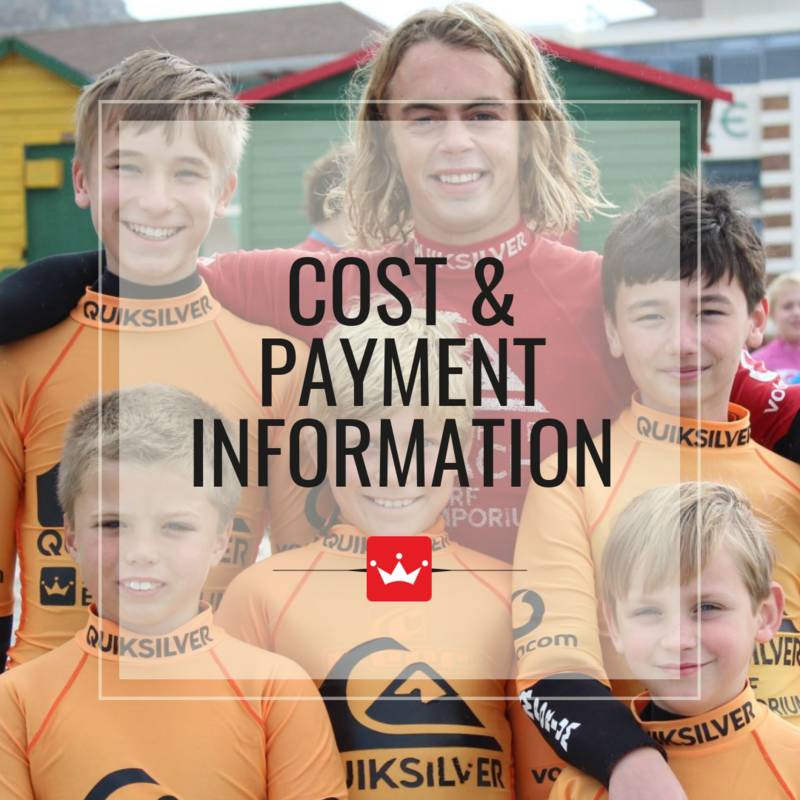 Intermediate participants will learn all about acceleration & deceleration and dive into the world of competitive surfing. 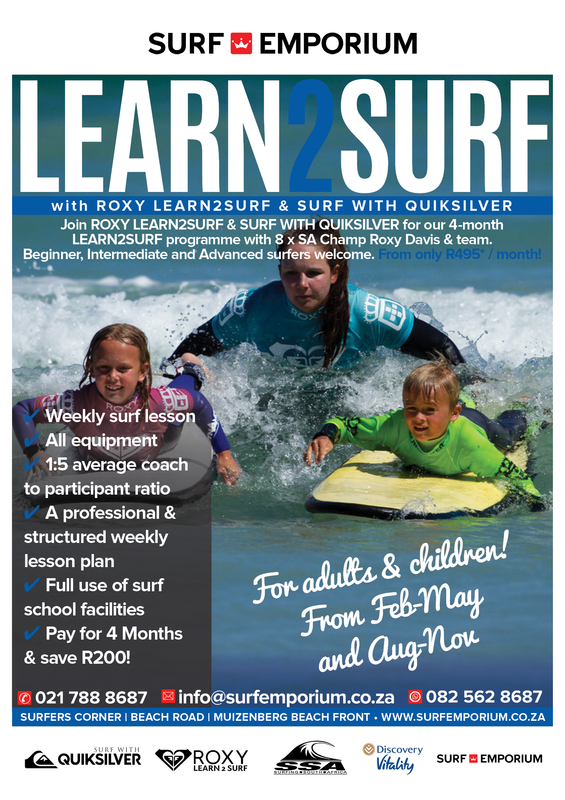 In every Roxy Learn 2 Surf and Surf with Quiksilver Programme there are 2 photo sessions where professional photographers will capture your surfing memories!